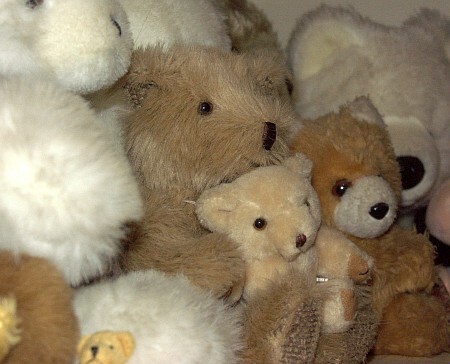 We share our lives with a great many teddy bears and other huggable creatures. We lost count at around seventy. We did once start thinking about creating a web database so we could keep track of them but it's not happened yet. If you like teddy bears then do mention it when you visit and we will introduce you to a few, especially Big Clive, who you can see top left on all our pages.